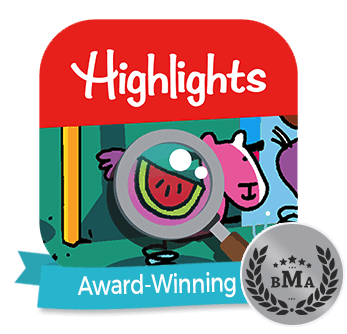 Today, at a launch event in Delhi, Highlights for Children, publishers of the most-read children’s magazines in North America, and Delhi Press, publisher of the best-selling magazines in India, unveiled a version of Highlights and High Five magazines adapted for the children of India – Highlights Champs and Highlights Genies. 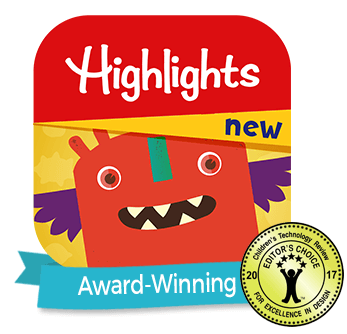 Highlights Champs is designed for children ages 6-12, and includes a mix of fiction, poetry, science, craft and readers' contributions. 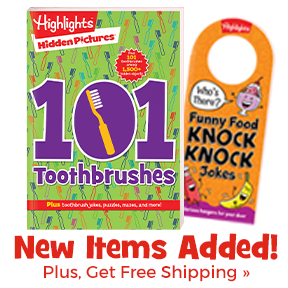 It also features beloved content from Highlights magazine such as Hidden Pictures, the Timbertoes and Goofus and Gallant. Highlights Genies targets children ages 2-6 and uses stories, poems and activities to engage children in early learning and help them to develop a strong sense of curiosity, creativity, confidence and caring. “Parents in India place a high value on education and care deeply about helping their children develop strong learning skills at an early age. With a blend of Highlights’ exceptional content for children and Delhi Press’ unique understanding of the market, Highlights Champs and Highlights Genies will be ideally positioned to fulfill the needs of both parents and children,” said Paresh Nath, Editor-in-Chief and Publisher of Delhi Press. Highlights Champs and Highlights Genies will be available through subscriptions as well as in newsstands and books stories throughout India. With 34 magazines in nine languages, Delhi Press publishes one of the most diverse portfolios of magazines in India and has a collective readership of more than 30 million. Delhi Press publishes the leading narrative journalism magazine of India, The Caravan. It also publishes the largest read magazine in India, SarasSalil, the most popular women’s magazine, Grihshobha, and the largest read children’s magazine, Champak. Delhi Press was established in 1939 and is a full-service publishing house with its own printing facilities and its own distribution and logistics company that reaches out to more than 3,000 magazine distributers and agents. Published in eight languages, Champak reaches more than six million kids. Champak stories are beautifully illustrated and open a new world for children. The stories have carefully chosen language and easy sentences. Champak science pages, informative sections and articles by experts encourage children to debate and discuss topics that touch everyday lives. Champak is contemporary with a keen sense of what is happening in the world. Games, activities, puzzles and brain-teasers help develop cognitive thought and creative problem solving in children. Cheeku™ and Damru™ comics, along with fun pages, integrate humor into children's everyday lives. To date, Highlights has launched versions of its publications in more than a dozen countries. In addition to India, Highlights will be establishing a presence this year in Malaysia, Brazil and Hungary. In China, Highlights has sold more than one million books and magazines. Devoted to "Fun with a Purpose," family media brand Highlights for Children, Inc. (http://www.highlights.com/) has helped children become their best selves for generations. In addition to the flagship magazine, Highlights’ other offerings include a preschool magazine (High Five), an infant magazine (Hello), a children’s book company (Boyds Mills Press), puzzle book clubs and a variety of digital products. 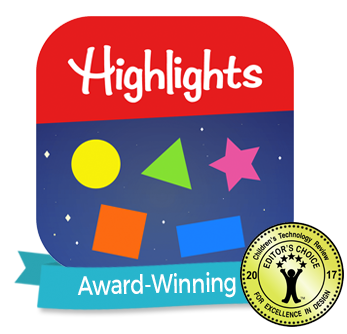 For additional information about Highlights for Children, Inc., please contact Christine French Cully, Editor in Chief, at (570) 251-4508 or christine.cully@highlights.com.